Please note that special conditions for admission and renting (see university housing quota for foreign students (SOK)) apply for those foreign students who come here to study for a period of up to 12 months and are referred to Studentenwerk from a list at the university. Looking for accommodation has regularly proven to be especially difficult during the last few weeks before the start of the winter term. It is a little less difficult before the summer term. People who are not familiar with the area and foreigners – especially those from very far away - naturally face the most difficulties. Our housing referral offices in Erlangen and Nürnberg can almost always help you find a room or an apartment on the private housing market, as long as you aren’t too choosy and ready to put up with certain limitations regarding comfort, location, distance and/or costs. However, you will have to come in person at one of our housing referral offices, where you can obtain further information. By the way: sometimes there are quite attractive offers to be found in the suburbs. Public transportation in the metropolitan area of Nürnberg – Fürth – Erlangen is generally good, especially along the main railway routes. In Fürth – which has very good transport connections – there are often cheaper offers to be found than in Erlangen or Nürnberg. Especially in Erlangen, many students regularly ride bicycles. Privately financed as well as publicly sponsored halls of residence are not exclusively run by Studentenwerk, but by private and charitable organisations as well. Student accommodation in Erlangen and Nürnberg offered by the latter is partially referred by our housing referral offices at Studentenwerk. Make sure to look into accommodation offered by these organisations as well, and if you're interested, apply there directly. You can find the necessary contact information if you click housing search, followed by the location of your university. Further opportunities to find accommodation at short notice are the ads in the local daily newspaper (Wednesday and weekend editions), which can also be found online at www.nordbayern.de. You can also try a local agency for short-term letting (telephone numbers at the end of this page) or offers on one of the many notice boards around campus, students' residences and refectories. Quite a few people have found temporary accommodation at a youth hostel (telephone numbers at the end of this page) for the first few days. Commercial estate agents also offer their services to students. Please make sure to inquire about their brokerage fees beforehand. Good luck! When you finally find somewhere, we suggest that you agree on an acceptable notice period before signing the tenancy contract. This will enable you to move during the semester, if need be. According to experience, the housing situation improves with time. You will often find much better housing opportunities (e.g., at halls of residence) during the semester than right at its beginning. You should check the section about our halls of residence to read up on housing opportunities and apply as soon as possible. You will also find the application form there. Ideally, however, you should pay us a visit at our WohnService (Housing Service) in a few weeks, when you have gained a foothold. We can then offer you unhurried advice. As already mentioned, the halls of residence are subject to regularly changing conditions for admission at the beginning of the winter semester which are designed to help first-year students. As a matter of principle, however, applicants (first-year students) who live where they can easily reach the university by commuting or applicants who already live nearby (Erlangen and Nürnberg -: the area covered by the local public transport company VGN) cannot count on gaining admission during September, October and November (start of the winter semester). 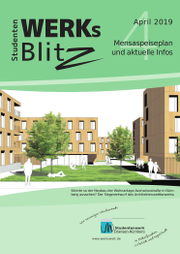 Due to the high demand and limited supply during these months, admission to the halls of residence run by Studentenwerk is limited in favour of, among others, first-year students from further away, whether Germany or abroad. 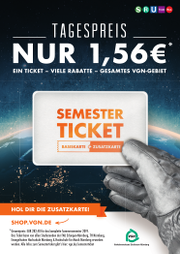 In the course of the winter semester, often those applicants (first-year students) who had to commute a long distance (e.g. more than 50 km) during the first weeks of the semester and still don't have place to live in the city of their university are favoured in regard to admission (reservation list).